Support for the Flash player is being decreased step-by-step, with the end-of-life being scheduled for the end of 2020 (Adobe Blog). 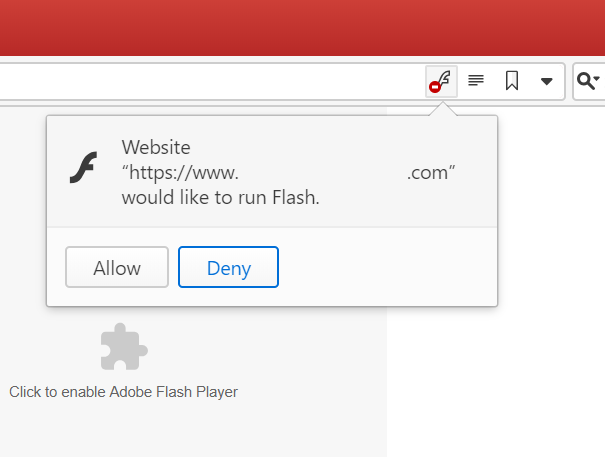 Click on the Flash content, usually with the message ‘Click to enable Adobe Flash Player’ in the middle. Click on Allow in the pop-up. Click on Site Info button on the Address Bar and select Site Settings. On the settings page, scroll down to Flash and select Allow. Reload the page if it doesn’t start to work immediately.